This is the final book in the Drew and Fable series. It tells the story of Fable's younger brother Owen, whom we met first in One Week Girlfriend as a 14 year-old teenager. Four years later, he is in college, living on his own, paying football and working at the same place where Fable used to work. Things should be perfect for him, yet he is slowly going down - drinking, smoking pot and hooking up with random girls. Enter, Chelsea, a prodigy, shy and innocent girl with family issues of her own, who is to tutor him to help him get on track with his college studies. 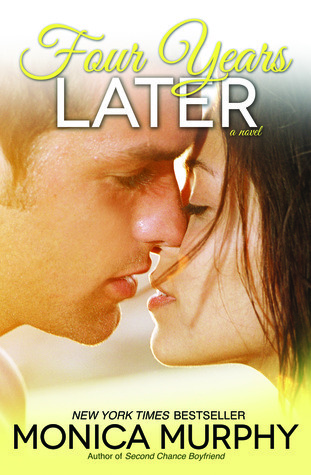 It's a sweet NA story of an innocent virgin heroine and gorgeous bad boy football player. Their tutoring sessions change their lives. I liked Owen a lot, he was still the same foul-mouthed boy we met at the beginning of the series but now he facing much bigger challenges. His frustration at the his life, is very realistic and believable. He is lost, alone, feeling left out now that Drew and Fable have a family of their own and his mother is playing with his emotions taking him with her to the bottom. I wasn't a big fan of Chelsea. She was this super smart shy girl, but she kept acting very immature. Her insecurity and constant questioning of her choicees were annoyig. They started a relationship but neither was honest with the other and they kept their biggest secrets to themselves. Naturally, when all things were reveled, Owen and Chelsea felt both guilty and betrayed. Overall, it was an nice story, a bit simplistic and annoying at times, but still a good completion to the series.